When parents, students and school personnel disagree about the specifics of individualized education programs (IEPs), they often fall into the trap of angrily blaming one another. Bitterly, parents may accuse teachers, IEP team members and school administrators of not caring a wit about their child, caring only about dollars. School personnel may respond in kind, scornfully staring, rushing through proposed IEPs and presenting them with little if any further discussion, on a take-it-or-leave-it basis. Though all parties think they're right, they're usually wrong. Why wrong? Usually, each party falls prey to stereotypes, to what they've heard other people say, to misconceptions and to the clock — which all too often says "we have only 42 minutes to discuss struggling learners' progress and difficulties and to develop new programs that may shape their lives for decades to come." To prevent problems like these, parents and school staff need to do their homework, part of which is to help the other party feel comfortable, informed and respected. Part of "comfortable" is not trying to squeeze everything into one 42-minute meeting. All of this takes planning and action. 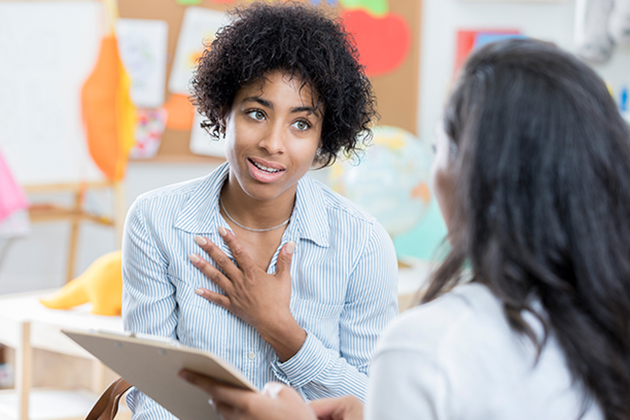 To this end, this article will focus on several ways parents can prepare for highly focused and productive IEP meetings that also help school personnel do the same. By parents helping school personnel in ways that convey knowledge, respect and focus, school personnel tend to respond in kind. This dramatically increases the likelihood of developing and effectively implementing high-quality IEPs. Based on their experiences, some readers will challenge my recommendations. They may grumble, "I tried that. It's a waste of time and energy." In some instances, they're right — in human relations nothing works 100 percent of the time. Nevertheless, the recommendations below will increase your odds of success, if you knowledgeably implement these recommendations in Sequential, Active, Focused and Explicit (SAFE) ways. How do I know? In my role as a reading and special education consultant, professor and researcher, consultant to parents and schools, mediator, special education hearing officer and expert witness, I've attended hundreds of IEP meetings in New Jersey, New York and Pennsylvania. I've studied and piloted many strategies. If they didn't work well after a reasonable number of refinements, I ditched them; if they did, I kept evaluating and refining them. Typically, the preparation recommendations below worked. Photocopy two sets of all your child's critical records. You're entitled to see all of them. Keep in mind that your child's records and your state's special education codes are your oxygen. No oxygen, no strength. Organize one set of records by subject and date. Organize the other set by date. Review the records carefully. If you have several years of records and evaluations, focus on the last three years. Identify your child's important needs and the information supporting them. Without supporting information, you'll likely find yourself climbing a steep mountain with 100-pound weights around your ankles. Write on one set of copies, not on the originals. Highlight important quotes. Take short but relevant notes. Avoid volumes of notes; they hide what's most important. Study your state's special education code(s). Focus on its purposes/goals, definitions and the most relevant sections that relate to your child's needs. Recently, I told myself: "Before Liam's next IEP meeting, I need to brush up on sections 2.3 (Notices) and 3.7 (IEPs) of New Jersey's special education code. So, I'll study them for some 30-minutes a day for the next five days." I studied them, and it helped tremendously. If you have time, study the relevant sections in the federal Individuals with Disabilities Education Improvement Act of 2004 (IDEA). And remember the acronym: IDEA. If you're reluctant to carefully organize, analyze and study your child's records, ask yourself: What are the consequences of a terrible IEP? Your list of what the team needs to know about your child. Your list of questions you need answered. In your email and letter, use the word "request" to ask for answers to your questions. One question might be "What were Emma's independent, instructional, frustration and fluency scores on her first- and third-quarter Qualitative Reading Inventory tests?" Your statement of "parent concerns" to insert in your child's IEP. In your email and letter, request the team to insert your statement as written. Your request for all recent reports written or submitted in the past 12 months. Your request for a copy of any draft IEP the team will present at the next IEP meeting. Your request that the school send you all the above at least two weeks before the next IEP meeting. If possible, send all written requests by email and letter; use the word "request" in your requests. Keep in mind that your child's IEP team may not comply as readily as you request. It may not send you its draft IEP; it may typically have one person write it the day before meetings. It may not have the data required by your child's current IEP. Although wrong, disheartening and perhaps maddening, it's instructive. It gives you considerable insight into the system and some of the people. But be careful to avoid personalizing this; typically, it backfires. Also, keep in mind that your requests are protecting you and your child. By sending both an email and a letter, you're documenting your requests and often creating a legal obligation for the team to comprehensively reply — within state prescribed timelines — or violate the law. By sending your reasonable requests at least six weeks before the meeting, you're giving the team ample time to collect the requested information and reply. In other words, you're being reasonable and asking only that the team help you become a well-informed, equal member of the team who can knowledgeably participate in your child's IEP meetings. At IEP meetings, a logical sequence of topics or written agenda can improve attention, thought, discussions, recommendations and decisions. To achieve this, people must know the sequence of topics well before the meeting. Unfortunately, many IEP meetings lack a written sequence or agenda of topics, causing chaotic, meandering, quickly-changing and illogical mishmashes of topics that causes confusion and unnecessary arguments over goals, programs and placements. Thus, it's critical that you request — in writing — an agenda or sequence that follows the logic of IEPs. Present Levels of Academic Achievement and Functional Performance (PLAAFP). Unfortunately, many parents and school personnel rush through this, leading to poor IEPs and, if they disagree, to destructive power struggles. Your child's PLAAFP is the foundation for developing quality IEPs. Almost inevitably, poor PLAAFPs produce poor IEPs. Special factors, such as communication needs. Behavior intervention plan, if needed, for attention, disciplinary or related problems, such as poor focusing or refusing to do academic work. Eligibility statement by the eligibility team, which includes you, the parents. Goals (and in some states and situations, objectives) for each need identified in the PLAAFP. Evaluation procedures and criteria to measure your child’s progress for each goal (and in some states and situations, objectives). Often, this is vague and doesn't match goals. General education modifications for when your child attends regular classes or extracurricular activities, such as a cooking class or an after-school chess club. Supplementary aids and services your child needs. Aids include a special fork and particular software. Services include a personal aide or occupational therapy consultation to your child's teacher. Supports for school personnel, such as special workshops to help teachers and aides help your child achieve the communication goals in his IEP. Related services, such as mentoring, auditory training and counseling to help your child achieve the goals in his IEP. Least Restrictive Environment (LRE) placement to meet all the goals in your child's IEP, such as placement in a self-contained class, a resource program for extra help with writing or a general education class with one hour a day of in-class help from a literacy specialist. Progress reporting to you that explicitly answers the questions of "how, when, and to what extent is my child achieving each of his goals and objectives." Homework policy aimed at preventing and solving problems. Though IDEA does not mandate homework policy, such a policy belongs in most IEPs and can readily be justified at IEP meetings. Here's a partial example: "All of Liam's homework should be at his independent level; the level at which he can quickly and accurately read 99 percent of the words and understand 90 percent of the material; in math, it's the level at which he can independently solve 90 percent of the calculations and word problems ..."
Discipline, such as policy, strategies, criteria and the IEP's Behavioral Intervention Plan (BIP). Discipline should stress positive interventions that teach and motivate children to behave appropriately. Stressing punishment often spurs fear, resentment and retaliation. IDEA stresses positive behavioral interventions. Transition to general education if your child is in pull-out programs, a self-contained special education class or a special school. You may think the sequence is lengthy and time-consuming. It is. But federal law requires IEPs to address most of these items. Each item is essential. For a difficult IEP, you may need two or three meetings of two or three hours. Try to schedule the time you'll need to avoid feeling pressured. Focus on all of your child's needs, but don't waste a minute of the school's time. When Woody Allen attributed 80 percent of success to just showing up, he was probably right. But clearly, he didn't know much about IEPs. Here, 80 percent or more of your success depends on your preparation. If your child is struggling, if he's making little progress, just showing up to sign papers, to meekly agree to everything the school says or to offer uninformed comments will rarely prove helpful. To help you fully prepare, it's important that you take the added steps listed below. As you do, keep in mind that preparing for an IEP meeting, especially the first one, is like preparing a new play for opening night on Broadway: It takes work. And like a Broadway play, investing the right work increases the odds of success. Visit and observe your child's class. To learn more about observing, I suggest that you download and read this article. Write down whatever you think school personnel should know about your child, but are unlikely to know, such as what heightens or depresses his motivation outside of school and what he likes to do on weekends. Write down whatever questions you want your child's IEP team to answer. Send these to your case manager several weeks before your next IEP meeting. Create a list of all your child's school-related needs and the sources for each, such as "Page 3 of Dr. Shapiro's report of Jan. 17, 2018." Send your case manager a paragraph or two to insert in the IEP's parental concerns section, describing your child's strengths and weaknesses as well as his social, emotional, academic and physical needs. Study your state's special education code, especially the more pertinent IEP-related sections. Knowing the ins and outs of the code, such as its declarations about PLAAFPs, goals and objectives, and progress monitoring can prevent unneeded conflict and aggravation. Send your case manager an email and letter requesting an IEP meeting of enough length to effectively meet all your child's educationally-related needs. If you can justify two hours, request two hours. Don't be shy, but don't waste the school's time. Arrange for a calm, informed and helpful person to go with you to the IEP meeting. Before the meeting, agree on your distinct roles, such as speaker, note-taker or moral supporter. Yes, this looks complicated and intensive. Complicated it's not, intensive it is. But over time, with familiarity, this Sequential, Active, Focused and Explicit (SAFE) preparation process will become easier, quicker and more effective. Though there are more steps, such as dedicating yourself to a high quality PLAAFP and system of progress monitoring, carrying out the steps above can greatly improve your child's odds of success. Best of luck to you and your child.